A bill requiring first-time DUI offenders in Ohio to use an ignition interlock device on their vehicles should see legislative action this fall. But concerns about due process linger and could lead to some changes to the bill. Current law allows judges to order use of the ignition interlocks, which require drivers to blow into a device that measures blood-alcohol levels before starting a vehicle. House Bill 469 would make it mandatory for first-time offenders, same as is now required for those convicted of DUI twice in six years. Supporters, including the National Transportation Safety Board, gathered last week to encourage action on the bill, which would make Ohio the 23rd state to require the devices for first-time offenders. They call it a better option than a license suspension that is all too often ignored by violators. Two decades of research has found that the devices reduce recidivism among DUI offenders by up to 75 percent, said Christopher Hart, acting chairman of the National Transportation Safety Board. The bill has had a few committee hearings, and Rep. Terry Johnson, R-McDermott, a joint sponsor, said he is disappointed it did not pass before the summer break. But movement could come quickly when lawmakers return this fall. The devices would be used for first-time DUI offenders instead of prohibiting them from driving for 15 days and then obtaining limited driving privileges for work, school and medical appointments. Jon Saia, a Columbus defense attorney specializing in DUI cases, likes that part of the bill. But he thinks the legislation has a major problem in that it would allow judges to impose ignition locks when a defendant charged with DUI ultimately pleads to a reduced charge. That, he said, would impose an alcohol-related punishment for a non-alcohol-related conviction. “There is no way that’s going to pass muster,” he said. And if a defendant is facing the possibility of paying $80 a month for the ignition lock device over six to 12 months even with a reduced charge, Saia thinks it will push more cases to trial. Asked about concerns, Johnson said the bill would save lives. “You can think something as complicated as this bill and what it will do into the ground…and lose sight of the simplicity of what it actually does,” he said. Rep. Michael Stinziano, D-Columbus, the committee’s top-ranking Democrat, backs the bill but acknowledges there are due process concerns that may require some changes. The roughly $80-a-month cost of the device covers the cost of calibration. Saia also questions how much it would cost the state’s indigent defense fund for low-income defendants, though the state would qualify for a $688,000 federal grant to help pay for the law. A driver must register a blood-alcohol content of less than .025 — less than half the .08 limit at which one is considered too intoxicated to drive — to turn the ignition. The legislation has been named “Annie’s Law,” for 36-year-old Annie Rooney of Chillicothe, a prosecuting attorney who was killed in July 2013 by a drunken driver who had been arrested three times, with one conviction for DUI and two plea deals for lesser charges. Her father, Dr. Richard Rooney, has pushed hard for the bill in an effort, he said, to ensure that his daughter did not die in vain. He points to statistics showing that as usage of ignition devices has risen, DUI fatalities have fallen. This entry was posted on July 14, 2014. Acting Chairman Hart was in Ohio this week to speak in support of House Bill 469, known as ‘Annie’s Law’. If passed, Annie’s Law would mandate ignition interlocks for all drunk driving offenders in Ohio. While there, he met with members of Annie Rooney’s family. COLUMBUS — A proposed law that would require an ignition interlock device for all OVI offenders got a push Thursday from the chairman of the National Transportation Safety Board. Chairman Christopher Hart flew into Columbus to offer support to Annie’s Law, which was inspired by the July 4, 2013, death of Chillicothe attorney Annie Rooney. “Most Americans think we’ve solved the drunk driving problem. The fact is, we haven’t come close,” Hart said during a news conference at the statehouse. In 2012, the National Traffic Safety Board recommended that all states adopt legislation to require ignition interlock devices for first-time drunken driving offenders. Ignition interlock devices require a person to exhale into it and it tests the breath for alcohol content. If it is above the device’s programmed limit, it prevents the vehicle from being started. Annie Rooney was 36 when she was killed in the head-on crash by a woman who had prior drunken driving convictions. Annie’s family thinks that, if all convicted drunken drivers in Ohio were required to use an ignition interlock device, the crash wouldn’t have happened. The family has made it their goal to turn their tragedy into something meaningful. Annie’s father, Dr. Rick Rooney, thinks Hart personally endorsing the bill is a turning point in the legislation and he, as well as co-sponsors Rep. Terry Johnson, R-McDermott, and Gary Scherer, R-Circleville, believe it will be pushed through to law during the lame duck session this fall. Between Hart’s endorsement and the Ohio State Neurosurgical Society’s endorsement, Rick Rooney thinks the Ohio State Medical Association also will back the bill. Although there are several agencies coming behind the bill, news conference organizers MADD and Nationwide Insurance, Johnson and Rooney said they have had some push back and a lot of questions from the judiciary committee. The two major issues Rooney said have been raised during MADD’s past attempts to get similar laws in place are views that the device is punishment and that judges are concerned about losing judicial discretion in sentencing. He relates the requirements to those he followed as a surgeon or that pilots follow to ensure public health and safety. “Annie’s Law is about prevention, safety if you will, not punishing or shaming. … When it’s a safety issue, there shouldn’t be judicial discretion,” Rooney said. Another concern is the workarounds to the device, such as it’s impossible for the current device to know for a fact the right person is blowing into it. The device is made to be difficult to use without an hour of training, and it can come with a camera to snap a photo that is downloaded during monthly device checks, said Elizabeth Fink, regional public policy director for interlock company LifeSafer. The device also does random retesting after the vehicle has started. Johnson acknowledged that the interlock device isn’t a “silver bullet” to removing all drunken drivers from Ohio’s roads, but pointed to statistics that show a reduction in both repeat offenders and reduced fatalities in states where they’ve been made mandatory. The Centers for Disease Control and Prevention reported people using interlock devices were 67 percent less likely to be rearrested for drunken driving than those who only had a license suspension. This entry was posted on July 11, 2014. Representative Johnson and Scherer speak at Annie’s Law Press Conference. COLUMBUS—State Representatives Gary Scherer (R-Circleville) and Terry Johnson (R-McDermott) today held a press conference to discuss House Bill 469, also known as Annie’s Law, which works to prevent drunk driving re-arrests through the use of ignition interlock devices (IIDs). Annie’s Law, introduced in March, is sponsored by Representative Johnson and it would expand the use of ignition interlocks for first-time offenders, with an illegal blood alcohol concentration (BAC) of .08 or greater, who seek driving privileges during a license suspension for a period of six months. Drivers must breathe into the breathalyzer system before attempting to drive in order to check blood-alcohol concentration. The goal of the legislation is to decrease drunk driving re-arrest rates in the state and in turn reduce alcohol-related traffic accidents and fatalities. The legislation is named after Annie Rooney, Representative Scherer’s constituent, who was killed by a drunk driver on July 4, 2013. Annie was traveling home when a drunken driver crossed into her lane on U.S. Route 50. Annie was 36-years-old and had served as a prosecuting attorney, even recently opening her own practice in Chillicothe. “Annie lived a meaningful life. 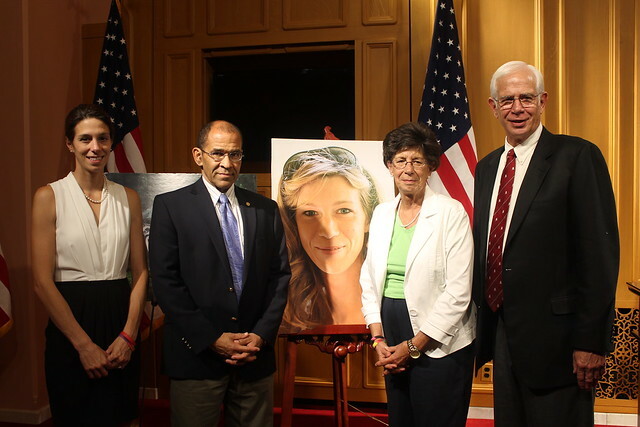 Although this legislation does not bring her back, it can make a meaningful and beneficial change in Ohio that Annie would be proud of,” Rep. Scherer said. Additional participants in the press conference included Christopher Hart, Acting Chairman of the National Transportation Safety Board (NTSB), Doug Scoles, MADD Ohio State Executive Director, William “Bill” Windsor of Nationwide Insurance and Dr. Richard Rooney, Annie’s father. This entry was posted on July 10, 2014. Ohio lawmakers are considering requiring first-time drunken-driving offenders to have an ignition breathalyzer installed on their cars to confirm their sobriety during a six-month penalty period. The law now allows judges to order the ignition interlocks, but the House bill would make their use mandatory. Offenders convicted twice within six years must use the devices. The bill sponsor, Rep. Terry Johnson, R-McDermott, cites federal figures that ignition-interlock devices reduce DUI re-arrest rates by 67 percent. About 25,000 first-time offenders are convicted each year in Ohio. The devices would replace a system in which first-time DUI offenders are not allowed to drive for 15 days and then can obtain limited driving privileges to travel to work, school and medical appointments. A change in the bill last week also would require those charged with DUI but convicted of lesser offenses, such as physical control of a vehicle while intoxicated, to install the machines in their cars. Motorists convicted of DUI would lease the interlock devices, which cost $70 to $150 to install. A $60 to $90 monthly fee includes downloading data to see if a failed breath test prevented the car from starting. Indigent drivers would be eligible for a free or discounted device from county alcohol-treatment funds. Only about 5,000 Ohioans, including repeat DUI offenders, are required each year to use ignition interlocks, said Doug Scoles, executive director of Ohio MADD. Twenty states now require their use by first-time offenders. “Requiring the use of ignition interlocks for all convicted drunk drivers will help prevent repeat offenses and, in so doing, save lives,” Scoles said. The State Highway Patrol reports 341 people died in drunken-driving crashes last year. Seventy-seven people have been killed so far this year, 38 fewer that at the same time in 2012. The bill is dubbed “Annie’s Law” in memory of Chillicothe lawyer Annie Rooney, who was killed last year by a drunken driver now serving eight years in prison. Her family has campaigned for passage of the bill. “It does curb the behavior we’re trying to get at, and it has been proven to save lives,” she said. Courts would have to find ways to monitor the increase in ignition-interlock reports on drivers and find funding to ensure devices are made available to those who can’t afford installation and monitoring, she said. This entry was posted on June 14, 2014. Changes to a bill that would require breath-testing devices on certain drunken drivers’ vehicles made the proposal more strict but also delayed a vote until after the Nov. 4 election. As introduced earlier this year, the bill would require ignition interlock devices be installed for first-time operating a vehicle while under the influence offenders. The devices require drivers to blow into a breath-tester, which calculates blood-alcohol concentration, and will prevent the vehicle from starting if the driver tests higher than the preset limit, usually 0.025. People using ignition interlock devices were about 67 percent less likely to be rearrested than drivers with suspended licenses, according to a Centers for Disease Control and Prevention review of 15 studies. The devices are a deterrent for the more than 50 percent of convicted drunken drivers who continue to drive even with suspended licenses, according to Mothers Against Drunk Driving. Current state law requires devices be installed for repeat drunken drivers. If approved, the bill would bring Ohio’s law in line with 22 other states, according to MADD. Changes approved by committee Tuesday would require ignition interlock devices for people arrested on a charge of operating a vehicle while under the influence while they await trial. A judge also could request a device for people who received plea deals for lesser offenses, such as reckless operation, if the judge believed the person would be at risk of another operating a vehicle while under the influence charge. The judiciary committee accepted the changes Tuesday but will not vote on the bill before the Ohio House of Representatives’ summer break, said Steven Alexander, legislative aide for the bill’s co-sponsor, Rep. Terry Johnson, R-McDermott. That means the bill won’t see action until after the Nov. 4 election. The proposed legislation is called Annie’s Law in memory of 36-year-old Annie Rooney, a Chillicothe attorney who died after a head-on collision with a drunken driver on July 4, 2013. The drunken driver, Shira Seymour, was sentenced to the maximum eight years in prison for Rooney’s death. This entry was posted on June 4, 2014. The May 11 Dispatch article “Repeat OVI arrests still can end in plea deal” painted a profound picture of the need for strengthened drunken-driving laws in Ohio. As the grieving father of Annie Rooney, who was killed by a drunken driver on July 4, 2013 in Chillicothe, I find it to be outrageous that hard-core criminals are let free while I mourn. My daughter’s killer had a record extending back to 1999 of repeated arrests for OVI, almost all of which were pled down. 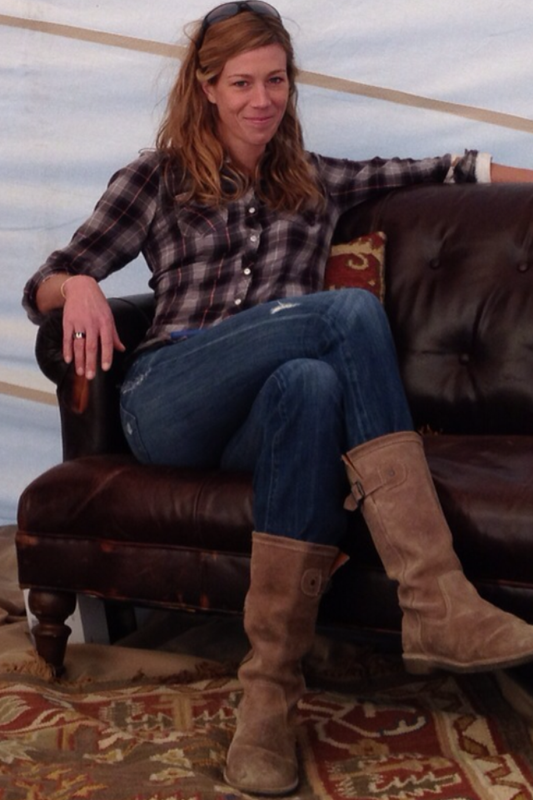 Annie was a vibrant 36-year-old who had been a prosecutor in Bozeman, Mont. She had moved back to Ohio two years earlier to be closer to our family. Annie was a gifted academic and athlete whose charisma had touched almost a thousand lives, and her loss has been catastrophic for our family and her friends. We have worked for the past year to prevent further loss of life, suffering and the devastation that our family has had to shoulder. Our family is dedicated to changing the law so that another innocent person is not taken in such a reckless, preventable way. We are pushing to get tougher legislation passed to reduce the number of drunken-driving deaths on Ohio’s road. Joining forces with Mothers Against Drunk Driving (MADD), AAA, Nationwide and others, we are asking that all convicted drunken drivers, including first-time offenders, be required to install an ignition interlock on their vehicle if they want driving privileges. This legislation, which we named Annie’s Law, addresses the problem of repeat offenders. The use of ignition interlocks cuts recidivism by more than 67 percent and is more effective than license suspension. Similar legislation in 22 other states has been followed by a significant reduction in drunken-driving deaths. The research is overwhelming that early intervention with an ignition-interlock device drastically reduces deaths. One life lost is too many and in 2012, 385 of our neighbors in Ohio were killed in crashes involving drunken drivers, representing 34 percent of the traffic fatalities. No father should feel such pain. Annie’s Law will protect the public and teach sober driving. This entry was posted on May 31, 2014.